Need help generating more traffic, leads & sales? We’re a data-driven digital marketing agency based in Sydney, servicing clients throughout Australia. We specialise in paid advertising and crafting strategies including organic search and inbound marketing focused on helping businesses grow. Our services stem from a dedicated team, combined with decades of experience in paid search, social, content strategy & SEO. 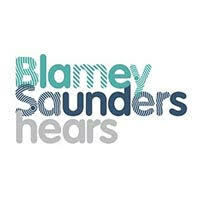 We work with a wide range of clients including Blamey Saunders hears, Tradingpost, helloworld & Life Insurance Direct. Each brand is different, requiring a unique tactical approach built and optimised towards performance. Pay-Per-Click advertising solutions across multiple platforms (e.g. Google Adwords, Facebook Ads, YouTube) to increase traffic, leads and ROI. We do this by building optimised and well managed accounts. Developing inbound marketing solutions helping businesses create valuable content for their audience, distributing the content in the right place at the right time. Whether it's SEO, Content Marketing, Social Media Marketing or all of these combined, we can help identify growth opportunities and developing effective digital marketing strategies. "Efficient Media helped me shape a sustainable, transparent, and actionable marketing strategy!" "I cannot recommend Efficient Media enough. We saw a considerable growth in transactions. Their combined experience made my job a lot easier, and they’re always available to go above and beyond what’s required." "Working with Efficient Media has been a great experience. Their insights into SEO and SEM have been a great asset in growing our business…we have been happy with the results." "The team at Efficient Media gets results and are an absolute pleasure to deal with. They’re a cost-effective service that knows what’s what. I can’t recommend them enough."